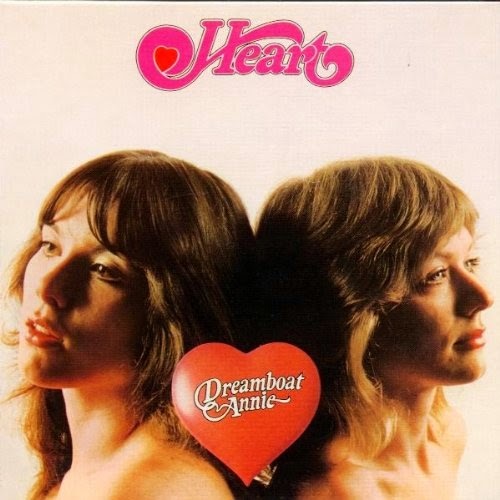 Today I'm going to tell you a little bit about Ann and Nancy Wilson and a band called Heart. As added bonus, I'll tell you how the song "Barracuda" came about, and just because I like you guys, I'll share with you one of my most favorite Heart songs. At that time, they also changed the band name to White Heart. A year later, they shortened the band name to Heart. In 1972 Ann Wilson joined the band, and the band was renamed once again, this time to Hocus Pocus. Roger Fisher's brother Mike, was set to be drafted. But instead of showing up for duty, he went to Canada. One day, Mike came back across the boarder into the US to visit family, and met Ann Wilson at one of their shows. Ann decided to follow Mike back to Canada. Steve Fossen finished his college degree and moved to Canada in late 1972. Roger soon followed. Along with Mike and Ann, the band Heart was officially formed. Ann's sister Nancy joined in 1974 and became involved with Roger. In 1975, the band recorded a demo tape with producer Mike Flicker, adding in session guitarist and keyboard player, Howard Leese. Leese eventually became a full time member of the band, as did drummer Mike DeRosier. Some of the investors who had backed the studio where the debut album, Dreamboat Annie, was produced, also backed a separate company Mushroom Records, which was managed by Shelly Siegel. Dreamboat Annie was picked up by Siegel and sold 30,000 copies in Canada in its first few months. The album was soon released in the US where it reached number seven in the Billboard 200. It eventually sold over one million copies. In 1977, Mushroom ran a full page advertisement in Rolling Stone magazine showing the bare-shouldered Wilson sisters (as on the Dreamboat Annie album cover) with a suggestive caption. After a live appearance, a reporter backstage suggested that Ann and Nancy were involved in an incestuous relationship. This infuriated Ann. She returned to her hotel room and began writing the lyrics to Barracuda. Heart broke it's contract with Mushroom and signed a contract with another company, resulting in a legal battle with Siegel. Mushroom released a partly completed album "Magazine", and Portrait (the new company) released "Little Queen". Both sides attempted to prevent the other from releasing any Heart music. Eventually, a Seattle court forced Mushroom to recall the album so that Heart could remix tracks and add new vocals. The Magazine album was re-released in 1978. In 1979, the Wilson-Fisher liaisons ended. Roger Fisher was voted out of the band by the other members, and Mike left within a month of that. In 1995, Nancy took a break from the band to raise a family. Ann continued touring with the band. In 2002. Nancy returned to the road with the band. 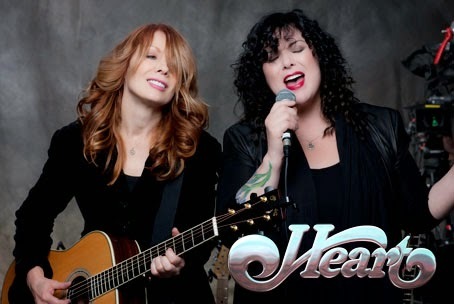 In 2013, Heart was inducted into the Rock and Roll Hall of Fame.